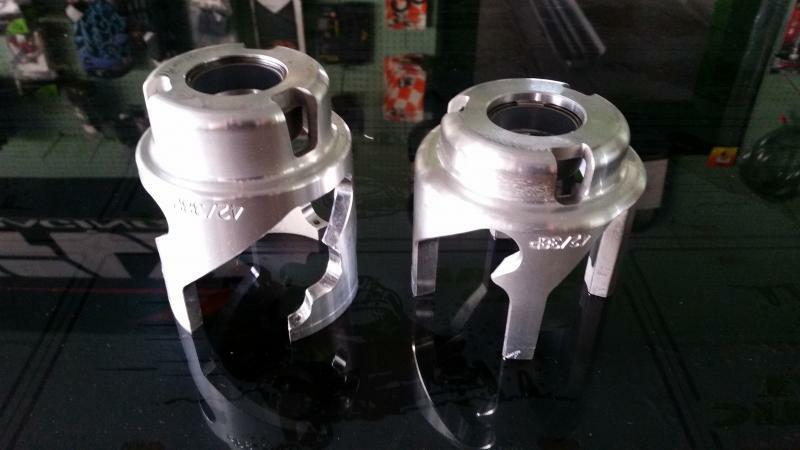 We spent a lot of time dialing in the new clutches fot the 16LE. We have came up with a great set up and package deal. 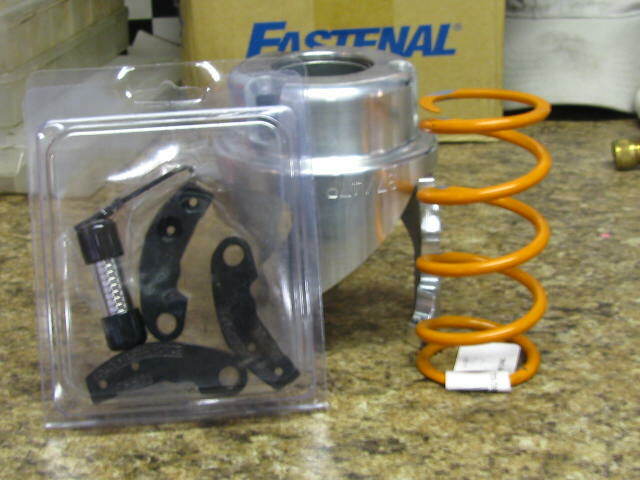 We feel like the stock clutching is way off starting with the new weights and Primary spring. Followed by the shiffting of the secoundary seamed soft so we came up with the right combanation muti angle that gives you a better load out of the hole and great back shift . Works best with new drive spring ﻿. Turbos are easy to clutch, and I have seen them run good with stock clutching and I have seen them run good with other clutching. It's amazing how turbos work, the key is in getting the most out of your turbo. Trust me when You hop on a sled that you just put a turbo on and did nothing with the clutching, they run pretty good but when you put the right clutching in it, it should give you that "rip your arms off" feeling when you grab the throttle. It's all about loading the turbo at the right time. If you load it to soon, it will be lazy and if you don't load it, it will be whimpy. So the key is in finding that magical set up between the helix and the weights. I find that most turbo clutching is way off. I like to load a turbo but you need to let it spool first. 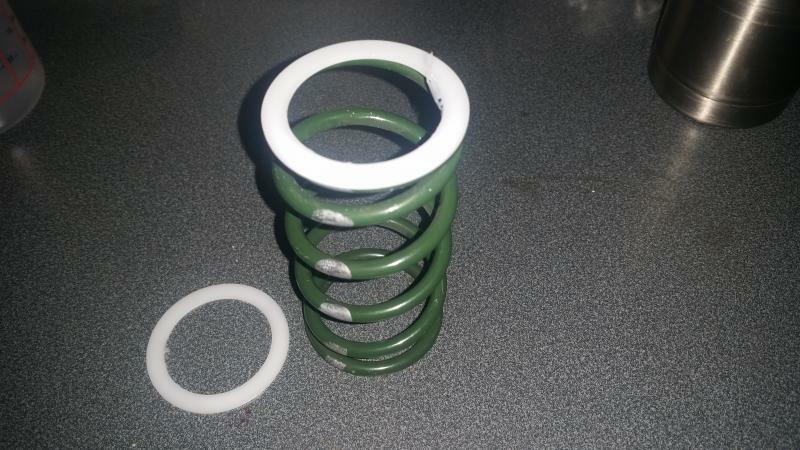 That is why most put a 36/46 and a high engagement spring thus you get that clunk or harsh engagement. 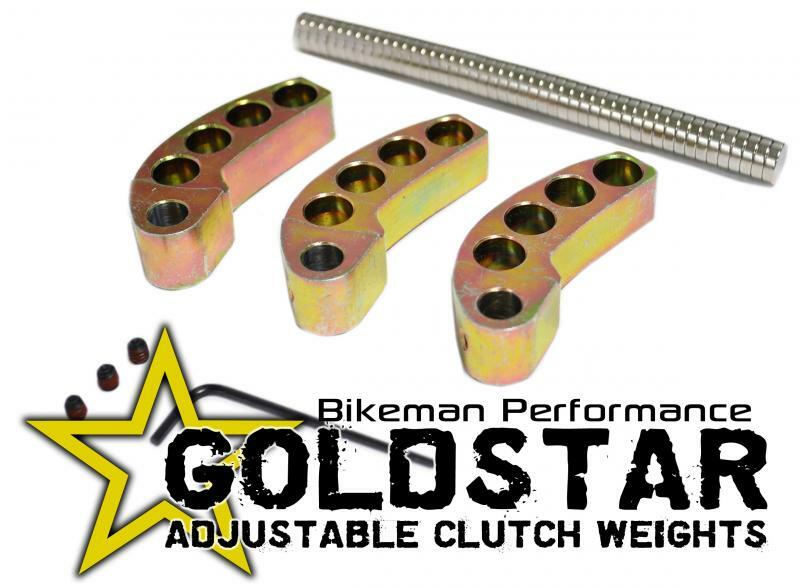 BD Uses light tipped weights like 80 g cat weight, high engagement spring and a 36/46 helix. OVS uses heavy tips, high engagement spring a multi angle torsion set up. I like to use a turbo weight, high engagement spring with a straight 44 or 46 helix. The key is the weights. Giving you a smoother engagement by letting the turbo spool then loads the crap out of the sled. Result is 'pull your arms' off feeling. Clutches work together and turbo is loaded getting maximum power which is good for boondocking or hill climbing. 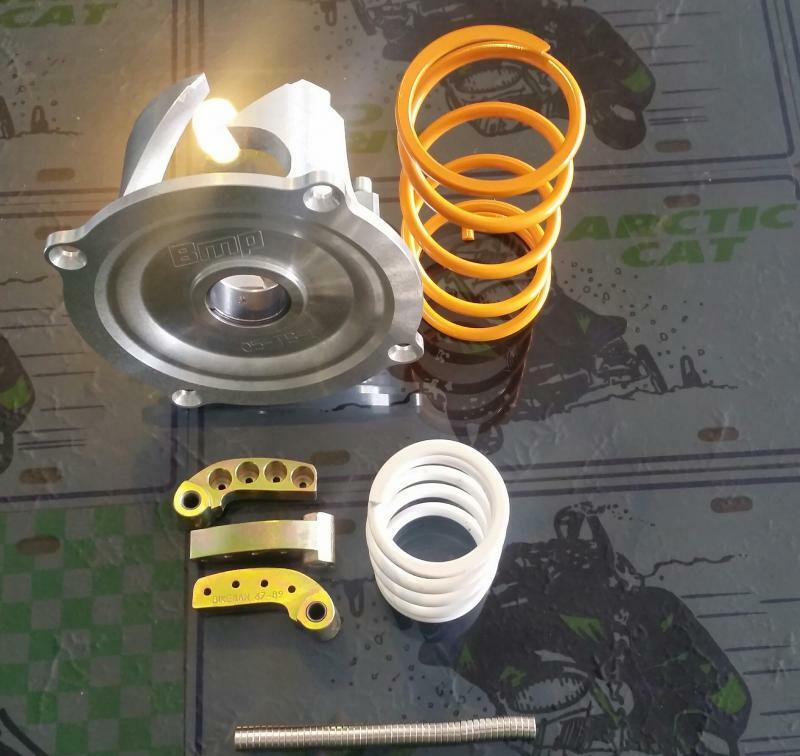 We have been tuning Arctic Cat turbo sleds since 2007 and this clutch setup is proven to work. ﻿k to add your own text or images here. You might use this area to add supplemental details about what you sell, such as your business policies, ordering information, or shipping prices. Provide as much information as you can to encourage your visitors to buy!